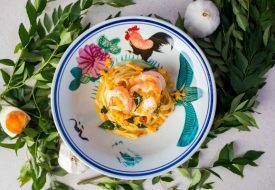 Although it only opened along Tan Quee Lan Street in June this year, HolyCrab may not be considered to some as a fresh face in the culinary scene. 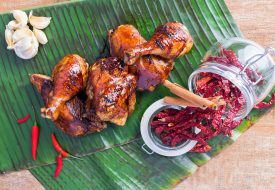 That’s because prior to the restaurant opening, Chef-owner Elton Seah was running it as a private dining enterprise for a good seven years. Fortunately for the masses, the private dining endeavour has expanded and the vivacious 40-year-old (he dons colourful chef uniforms instead of the conventional white ones) beckons all to the seafood abode of HolyCrab. Its mission? 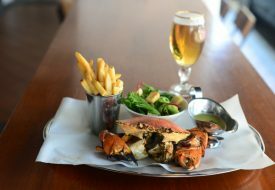 To bring the eponymous Singapore-style crab to the next level. So has Chef Seah succeeded in achieving that? We tried a few of his signature crabs and found out for ourselves. 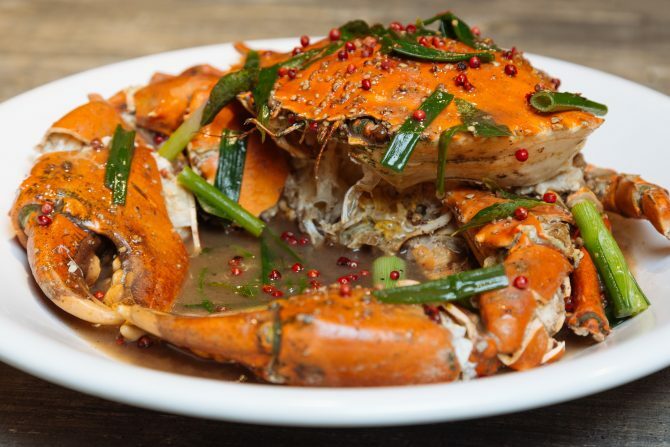 A level up from the traditional white pepper crab, The Peppa includes pink peppercorns into the mix. The fiery-red facade of the peppercorns may look a little daunting but rest assured, it is not as spicy as you think (think less spicy than chilli padi). Fried with butter and crab stock, the resulting sauce is undeniably appetising with its peppery layers. The crabs are all priced at $9/100g regardless of season, and the ones we tried weighed around 900g to 1kg.